People have been asking for this for years, and now, at long last, this thing is happening! Update: Pledge at any level, and, in addition to the other incentives, I'll throw in a Narbonic print! Details here. 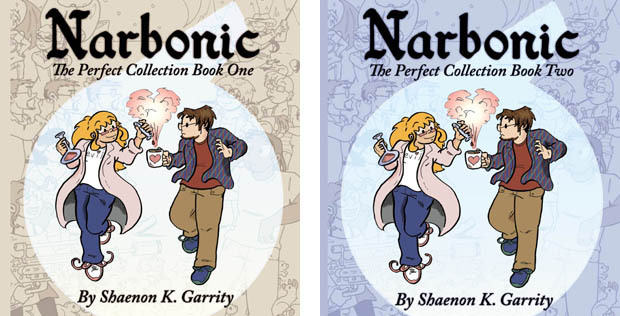 I recently found Narbonic (a week ago) and read the whole thing in a frenzied day! It's wonderful. Now I want to support you by purchasing your books. Pledging has closed, but I will be able to order the Perfect Collection books 1 and 2 when they are published, correct? I'm afraid I don't have any other way of shipping to Europe right now, although I'd love it if you could get me in touch with any European publishers or distributors.